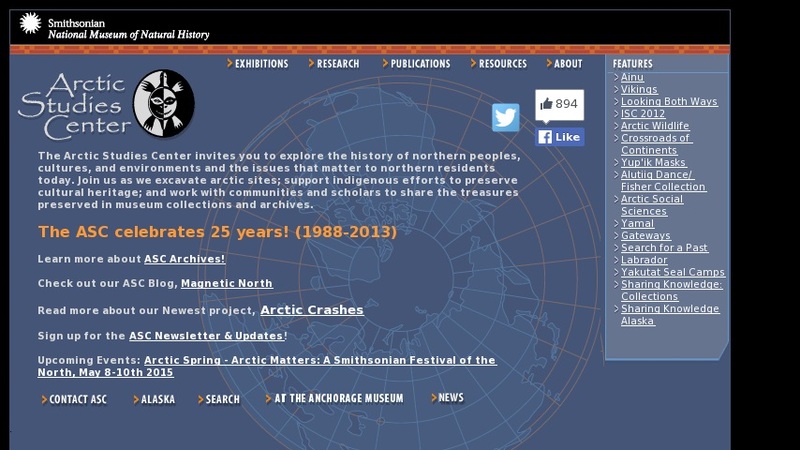 Explore the virtual museum exhibit. Lessons for every discipline including anthropology, archeology, biology. Downloadable publications include the center's newsletter, field reports, and staff research. Resources include FAQs and a glossary. Educator resources available (complimentary and cost-associated). Current features include a Viking exhibit, complete with artifacts, and a Yup'ik Masks exhibit, complete with audio and video. Includes information and photos of Arctic wildlife and Arctic peoples. Information on the St. Lawrence Gateways Project.